Tamarac Shopping Center 17 A LLC paid $20 million, or $291.83 per square foot, for Tamarac Shopping Center, a 68,534-sf, fully leased center at 3333 S. Tamarac Drive. 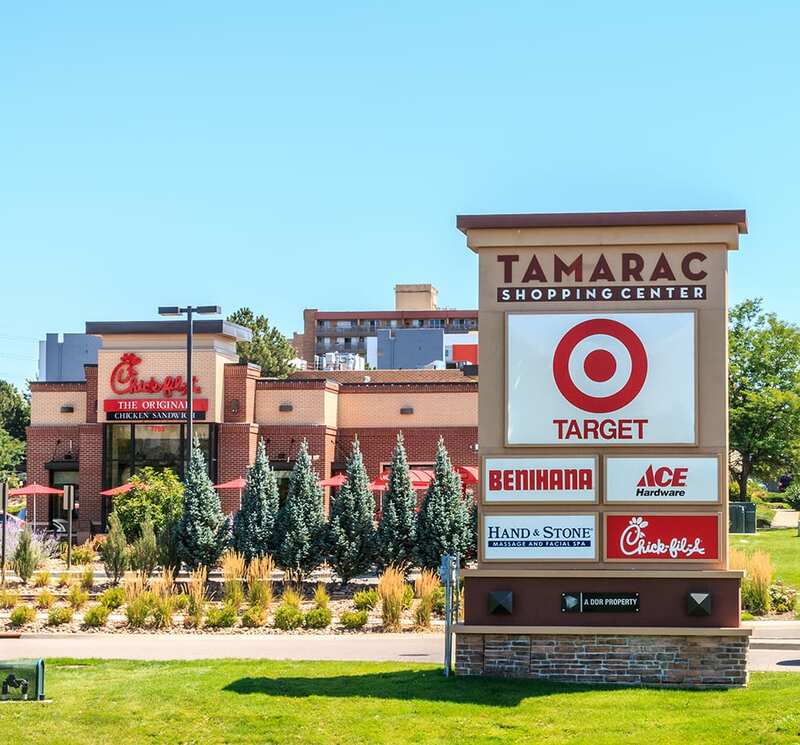 A sought-after shopping center in Denver recently sold to a buyer boosting its local portfolio. Murray, along with HFF’s Mark Williford and Bryan Ley, marketed the property on behalf of the seller, DDR Corp.
Shadow-anchored by Target, Tamarac Shopping Center comprises three single-tenant, triple-net-leased buildings occupied by Chick-fil-A, Benihana and Bank of the West. The center also includes a 33,099-sf strip center with 12 tenants, including Ace Hardware. Situated on 7.21 acres, the center is located at the intersection of Tamarac Drive and East Hampden Avenue intersection, which sees more than 61,700 vehicles per day, and more than 131,300 residents that earn an average household income of $90,308 live within a 3-mile radius of the center.